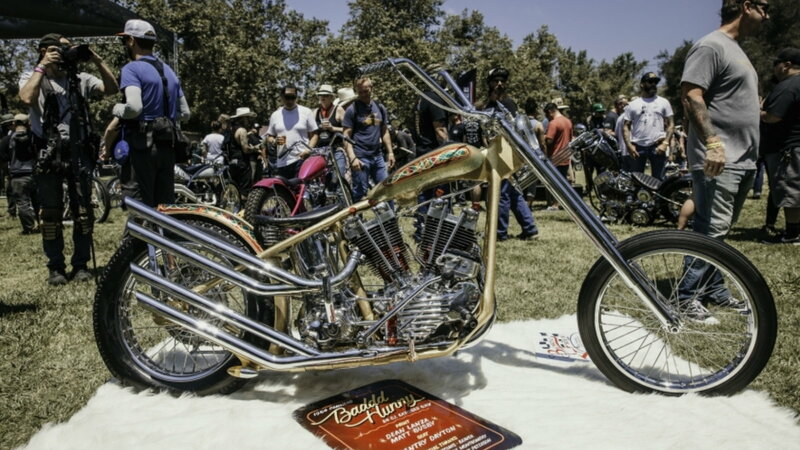 Daily Slideshow: "If Sturgis and Coachella had a raunchy affair..."
This past June saw the 10th annual Born Free Motorcycle Show take place at Canyon Ranch, Southern California. 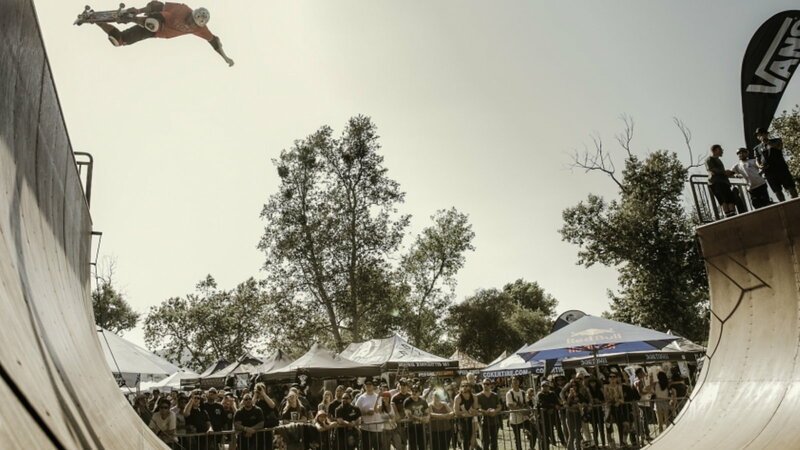 Between June 23-24 the 17-acre ranch hosted over 150 vendors and sponsors, along with the tens of thousands of motorcycle enthusiasts who attend. The attendees themselves are definitely a mixed bunch with everyone from motorheads to outlaws and garage-wrenchers making the trip to southern California. The one thing that ties these diverse groups together is their love of classic motorcycles of all shapes, sizes, and brands. Yes, the Born Free Motorcycle Show is, arguably, the best event to go and talk about vintage bikes for two days. Most motorcycle shows have some sort of theme, however mild, which sets them apart from the rest, and the Born Free Motorcycle Show is no different. One of the key components to the Born Free Motorcycle Show is the attendees themselves. 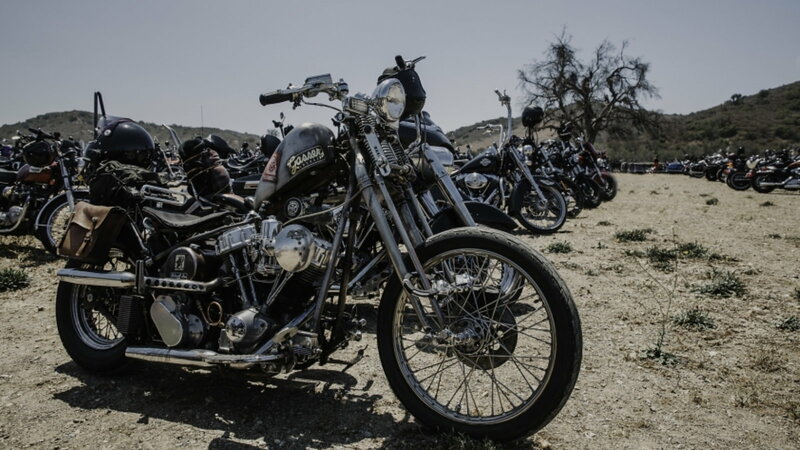 Yes, a large portion of "the show" is created by event goers riding their beautiful, vintage custom motorcycles in and parking up - a real back to basics show. There's a voluntary registration and it's open to all makes and models of motorcycle. The event organizers are known for their easygoing approach. >>Join the conversation about the Born Free Show right here at HDForums! As mentioned, registration for the show is voluntary and there's only a handful of prizes and awards. But, with that said, there was quite a significant prize for the winner of Best In Show. This year, the winner of Best In Show got a trip to the Mooneyes Hot Rod & Custom Show in Yokohama, Japan. The trip is for both themselves and their motorcycle, which will be flown out closer to the start of the show in December. Part of the appeal of the Born Free Motorcycle Show is the feeling of homegrown talent, as so many of the bikes on show were created and ridden there by event goers just like you. But, at the end of the day, it's still a vintage motorcycle show and wouldn't be complete without playing host to some serious bike builders. 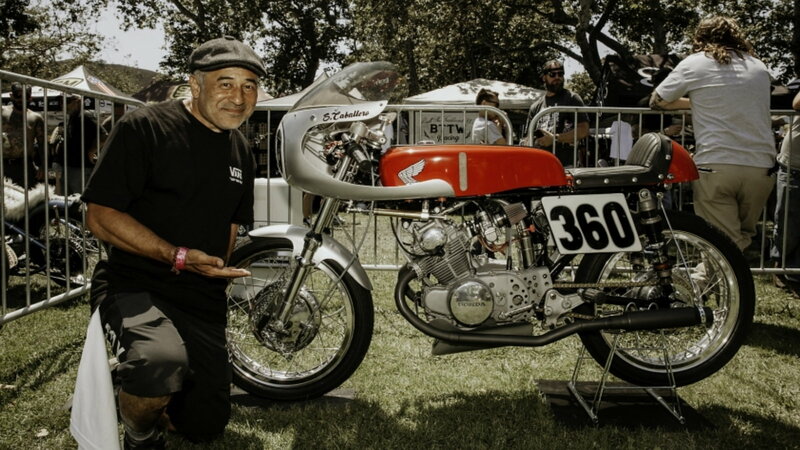 This is exactly what the 'Invited Builder' area is for, which is where you can find 25 up and coming motorcycle builders from all over the world. The bikes they debut at the Born Free Motorcycle show have been created especially for the show, so you'll be seeing them before anyone else. So far, the show may have sounded pretty bare but there's much, much more on offer than just vintage motorcycles. As was pointed out, the show is a melting pot for all sorts of motorcycle enthusiasts and, as such, there's a wide range of things happening at the event. To start, there's live music and as much cold beer as you could ask for. After that, you can turn your attention to the halfpipe which is erected each year or go and get a tattoo. And, if none of that takes your fancy, there's also an AMCA regional swapmeet at the event. Wherever your interests lie, you won't be short of something to do at the Born Free Motorcycle Show. For maintenance and repair guides for your Harley, browse our technical How-to articles right here on HDForums.